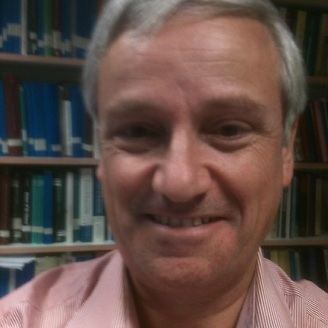 Jean-Claude Sikorav (born 21 June 1957) is a French mathematician. He is professor at the École Normale Supérieure de Lyon. He is a specialist in symplectic geometry. 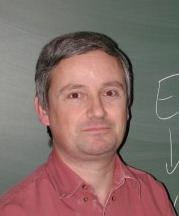 Sikorav is known for his proof, joint with François Laudenbach, of the Arnold conjecture for Lagrangian intersections in cotangent bundles, as well as for introducing generating families in symplectic topology. Sikorav is one of fifteen members of a group of mathematicians who published the book Uniformisation des surfaces de Riemann under the pseudonym of Henri Paul de Saint-Gervais. Sikorav, Jean-Claude (1994), "Some properties of holomorphic curves in almost complex manifolds", Holomorphic curves in symplectic geometry, Progress in Mathematics, 117, Basel: Birkhäuser, pp. 165–189, MR 1274929 . Hofer, Helmut; Lizan, Véronique; Sikorav, Jean-Claude (1997), "On genericity for holomorphic curves in four-dimensional almost-complex manifolds", The Journal of Geometric Analysis, 7 (1): 149–159, MR 1630789, doi:10.1007/BF02921708 . Laudenbach, François; Sikorav, Jean-Claude (1985), "Persistance d'intersection avec la section nulle au cours d'une isotopie hamiltonienne dans un fibré cotangent", Inventiones Mathematicae, 82 (2): 349–357, MR 809719, doi:10.1007/BF01388807 . Sikorav is a Chevalier of the Ordre des Palmes Académiques.